Pool liners are designed to protect the sides of your above ground pool from water damage and other issues. Over the years and seasons, above ground pool liners will experience natural wear and tear. 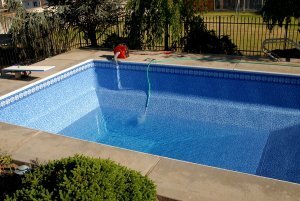 In order to keep your pool in fantastic condition, it is a great idea to schedule vinyl liner replacement in Birmingham, AL . 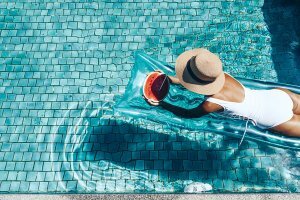 With a professional vinyl linter replacement from a team of pool repair professionals, you can make sure that your pool is ready for all of your summer fun. To help you gear up for your pool repairs, here is a closer look at the steps of vinyl liner replacement. The first step of vinyl pool liner replacement is to measure the walls of your above ground pool. In order to make sure that your pool liner provides you with the perfect fit, you will need to measure the height and length of your pool’s walls. When taking measurements of your above ground pool walls, your technician may use dimensions from the exterior of your pool to ensure accuracy. After the walls have been measured, your technician may recommend that you take the time to schedule a full inspection of the quality and condition of your pool’s walls. 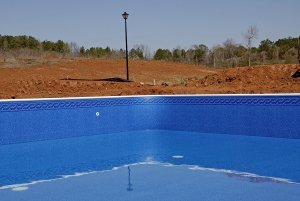 If your above ground pool walls show any signs of damage or wear, they should be repaired before the new liner is put into place. By taking the time to make sure that your pool is in great condition, you can rest assured that your pool liner will remain properly installed for many seasons to come. After the pool has been inspected, your technician will be ready to place your new vinyl liner. In order to make sure that your vinyl liner remains in place, your technician will align your liner with markers around your pool. After the liner has been put into place, it can be carefully snapped into the liner bead. With your new vinyl liner installation, you will be ready to enjoy your above ground pool throughout the hottest days of summer.